You will be able to sail a boat of about 20 feet in length in light to moderate winds and sea conditions in familiar waters without supervision. A preparatory standard with no auxiliary power or navigation skills required. 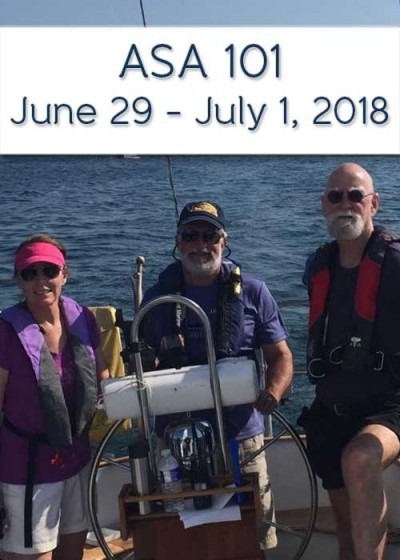 Summary of Student Standard – The American Sailing Association has adopted two separate Progressive Sailing Certification Programs: a seven stage Keelboat Sailing Certification Program and a two stage Small Boat Sailing Program. The following are the general descriptions or summaries of these Standards. Candidates must have attained the stated prerequisites before they may “Challenge” or take the required ASA examination.